Jiu-jitsu.News: Ukrainian fighter has reached the IBJJF ranking! Recently, the International Brazilian jiu-jitsu Federation (IBJJF) has announced the rating of fighters from all divisions. Ukrainian fighter from SC “Borets”/ZR Team Kropivnitskiy Roman Nepota is also mentioned in the international rating. 21-years-old sportsman regularly participates in various international prestigious competitions where he takes prices and universal recognition. 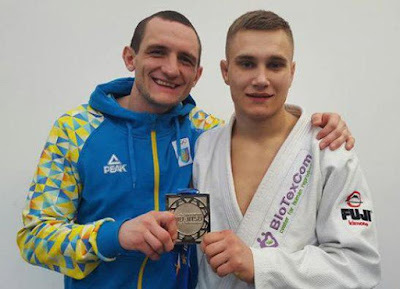 Due to high skills and hard work Roman Nepota has ranked the fifth place in the IBJJF ranking list among blue belts of the adult division.